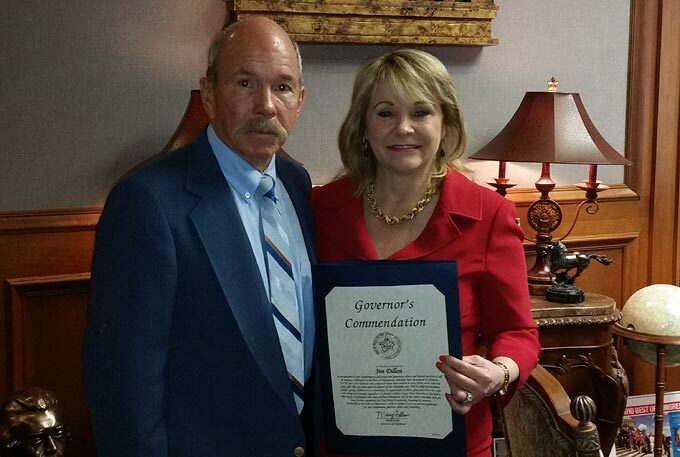 Governor's Commendation is hereby presented to Jim Dillon in recognition of your extraordinary dedication and generosity above and beyond sacrifice of self in making a difference in the lives of Oklahomans who have been devastated by disasters. 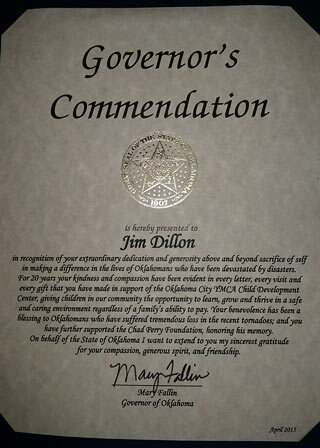 For 20 years your kindness and compassion have been evident in every letter, every visit and every gift that you have made in support of the Oklahoma City YMCA Child Development Center, giving children in our community the opportunity to learn, grow and thrive in a safe and caring environment regardless of a family's ability to pay. Your benevolence has been a blessing to Oklahomans who have suffered tremendous loss in the recent tornadoes; and you have further supported the Chad Perry Foundation, honoring his memory. 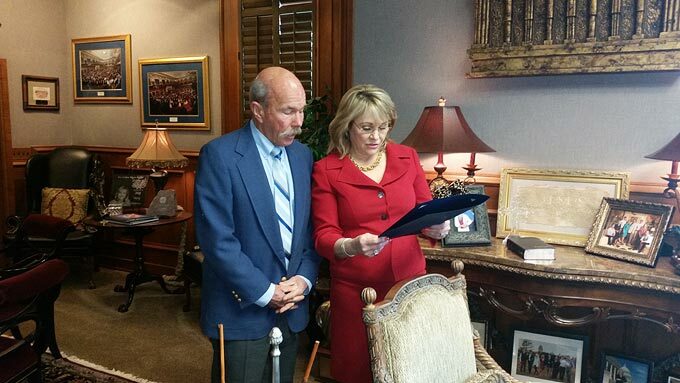 On behalf of the State of Oklahoma I want to extend to you my sincerest gratitude for your compassion, generous spirit, and friendship.